NewSong started out 20 years ago as a 9 member church band for Morningside Baptist Church in Valdosta, GA. Founding member, Billy Goodwin, explains the group's faith attitude, "The commitment that we made was, 'God, we'll do this as long as Your hand is on it, as long as we see You working.' One of the joys in my walk has been learning that God is faithful even when things look impossible." Throughout the years, and changes in the group, they have had 17 #1 singles, six Gospel Music Association Dove Award nominations, numerous songwriting awards, and five of the Top 100 Christian radio singles of the past decade. They are known for their songs, "Arise, My Love," "Miracles," "Jesus To The World (Roaring Lambs), and "The Christmas Shoes," which is also the title of their first Christmas Album. Besides having a touring ministry, which has caused many to accept Jesus Christ as their personal Savior, have also started their winter Jam and Summer Jam event tours where many top name Christian Artists come together for evening concerts for the benefit of youth and families, at a price that is affordable. At every concert, they promote World Vision, a Christian organization that feeds, educates and gives opportunities the world's poor children through sponsorship. Because of newsong's efforts, 22,000 children have been sponsored through World Vision. The current band members are Eddie Carswell, Billy Goodwin, Michael O'Brien (vocals, keyboards) and Steve Reischl (vocals, guitar, mandolin). Matt Butler (keyboards, violin, cello, vocals), the newest addition to the group. Each member brings his unique musical gift to the total group sound. Eddie Carswell makes this observation. 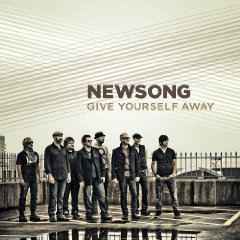 "Diversity and unity-and community building-keeps NewSong reaching new heights, in music and ministry. All these guys are such talented musicians. We're not really a band or a vocal group; we're a balance of both." Newsong - Russ Lee has changed my life and I wanted to tell him that when he came to our winter retreat this year and spoke I was one of the main people listening. I went to his class and listened to him tell about how God has changed him and his family. When he looked me in the eyes and spoke, I knew he was telling me "God wants to work through you." He didn't say that but that's what came of it. Now I am revealing to everyone around me that the things they are doing is wrong and I have helped a lot of them stop doing these things. I have Russ to thank for it. Those are my comments. Newsong... This group is my uncles fav. group. I fell in love with them when I heard the song "Can't Keep A Good Man Down". My dad doesn't like much music but he even fell in love with the song! Then when they came out with their latest CD I had to get it because it had a tear jerker in it. "The Christmas Shoes" was such a beautiful song of course I had to have it. My mom listened to that song and started crying! I think this is a great group and I'm hoping I can see them in concert. I was able to see them in concert just didn't get to see all of it.